CGRP is critically implicated in the occurrence and unfolding or progress of a migraine attack. CGRP or Calcitonin gene-related peptide is a powerful protein/peptide containing a short chain of amino acid monomers. It plays a critical role in transmitting pain signals through the body in events such as migraines. It is also involved in the vasodilation, inflammation, immune-modulatory responses among others during migraine attack apart from increasing heart beat and altering sensory transmission. 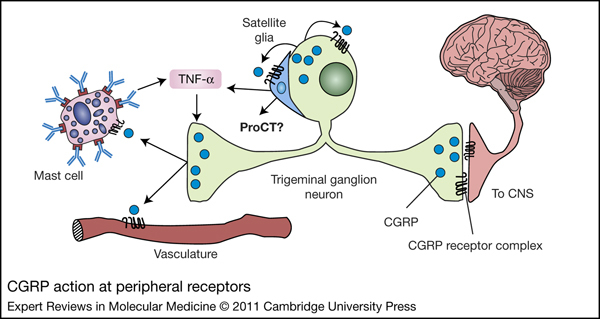 CGRP is produced by the peripheral and central neurons of our central nervous system specifically around the spinal cord and the trigeminal ganglion. Prior to and during migraine episodes, the central and peripheral neurons release more CGRP. This is then mediated through CGRP receptors (CALCRL and RAMP1) found throughout the body. One way to prevent pain from occurring is to block the receptors that receive the CGRP protein using a chemical/drug. Such drugs are called CGRP antagonists or CGRP blockers. In a post of March 28th, 2012 I had written (‘CGRP Blockers & SRAs – The New Faces In Research For Migraine Management’) on work being done on drugs that targeted CGRP receptors but were abandoned after Phase III trials due to adverse reaction found in some of the trial population. (2). Currently, two studies showing work with calcitonin receptor blockers have moved into Phase II trials. This means that though positive outcomes have been had from these researches involving smaller populations, larger studies are required to clear the drug for sale or prescription. This involves a prospective drug that aims to prevent migraine from starting rather than trying to stop attack from progressing once it has begun. The drug involves monoclonal antibodies or antibodies that are identical immune cells – clones of their unique parent cell. Such monoclonal antibodies are being directed at the CGRP to target the protein. This research examined 163 migraineurs for a period of six months, who had migraine attacks ranging anything from 5 -14 days every month. In this time, they gave the population either a placebo or the drug under study called ALD403 without the migraineurs knowing what they were taking. Those who took the drug reported a 66% reduction in number of migraine days and in 12 weeks time reported to be migraine-free. This potential drug in injectable form too is a preventative rather than a mitigator of migraine condition and is based on monoclonal antibodies targeting CGRPs. In Phase II trials as well, the research studied 217 migraineurs who experienced anything from 4-17 days of migraine days every month. The population being observed was also administered either a placebo or the drug under study called LY2951742 via the subcutaneous injection route, without being told which was which for a period of three months. Those who were receiving the real drug reported more than 4 days less of migraine days in a month. However, they also experienced more side-effects such as abdominal pain and upper respiratory tract infections. At last we are hopeful of receiving drugs that are developed only for migraines and not hand-me-downs – drugs originally developed for conditions other than migraines but which sometimes also seem to work for migraineurs and are thus prescribed to us. 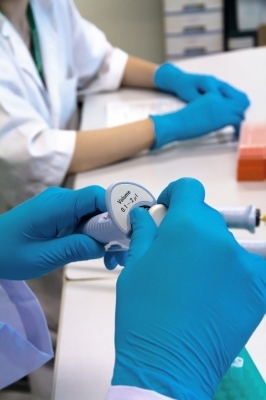 This year’s drug development focus is on calcitonin gene-related peptide or CGRP. 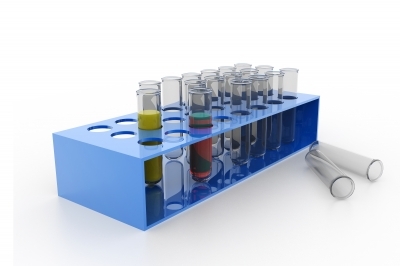 I had written about CGRP in my earlier post of March 2012 — ‘CGRP Blockers & SRAs – The New Faces In Research For Migraine Management’ (http://bit.ly/GVy9VA). CGRP is a neuropeptide (- protein-like molecules used by neurons to communicate with one another) that as per earlier research shows it to be involved in both the initiation of migraine signalling in the brain as well as the propagation of the migraine process in an episode for a person. Though both Merck and Boehringer have been targeting CGRPs as the root of migraine treatment for many years and their resultant drug Telcagepant was in Phase III of trials, further trials were halted as one unrelated molecule (to CGRP biology) was found to be causing unacceptable drug toxicity. So why are four companies vying for the same space in the migraine drug market? It has got to do with the treatment area being target as well as the cost. First, the target: Using an antibody to treat migraine involves developing of antibodies which have long half-lives. This means that once administered (let’s say via the injection route) will be effective for one or more months, thus preventing the initiation of migraines for multiple months. This is in sharp contrast to the current abortive drugs from the triptan family. This seems god-sent for migraineurs who experience multiple attacks a month. Second, the costs: So far, the drawback of an antibody approach has been the high cost of manufacturing such drugs. High costs translate to high retail prices and though higher prices are not minded by those who require them for conditions such as cancer, autoimmune or cardiovascular etc., migraineurs are sensitive to drug pricing. But common sense says, with more companies midway through drug development using the same approach, the prices are guaranteed to be competitive when the drug reaches the market. The data from the mid-stage studies on the new antibody drug from these four companies are expected as early as next year. It can only be good news for migraineurs that competition is on with more than one horse in the fray to develop these drugs.